Lately there have been numerous reports from other well-known gaming projects regarding cryptomining viruses. As it turns out, some modifications available for those games use browsers which can become targets of parasitic viruses or encrypting script injections utilized for crytpomining. 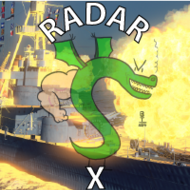 While World of Warships and our audience are not currently affected and free from viruses, they can potentially be injected in 3rd-party modifications. If you use any modifications for World of Warships, only get them from the relevant section of our official forum containing reviewed modifications. Overall, be careful and use an antivirus application making sure to check all of your downloads. Stay safe and thanks for your attention!